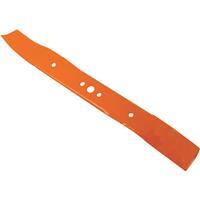 Husqvarna 21" Mulching Blade part# 581-694101 is a 3-in-1 replacement mower blade. This blade fits 21" Poulan, Poulan Pro, and Husqvarna branded walk mowers. For use on Model No. 961120124, Model No. 961320088, Model No. 961330018, and Model No. 961330019 walking mowers. Please refer to your owners manual to assure that this is the correct part number for your mower.